A general view of the Ryerson University campus in Toronto is seen in January, 2019. Students with attention-deficit hyperactivity disorder are much less likely to go to college or university than those with no long-term health conditions, according to a new report from Statistics Canada. Researchers found that young people with neither a mental-health nor a neurodevelopmental disorder, 77 per cent had enrolled in a postsecondary program. 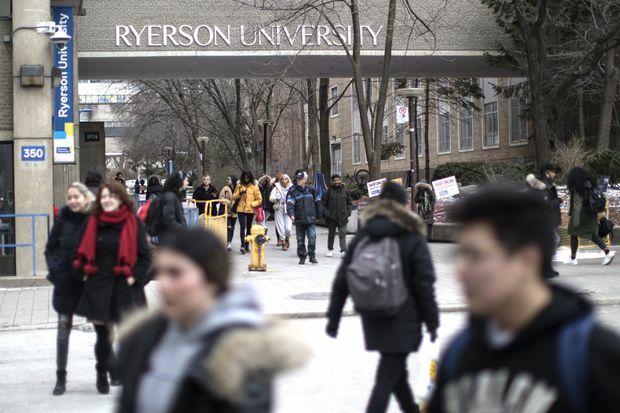 Only 48 per cent of Canadians between 18 and 22 years old who had a diagnosed mental-health condition had enrolled in a postsecondary institution. That includes students diagnosed with emotional, psychological or nervous conditions, but nearly three-quarters of this group were diagnosed with ADHD, which is considered a mental illness.